Currently, a quarter of the UK’s carbon emissions come from our businesses, industry and workplaces. 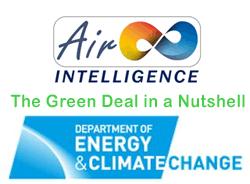 So the Green Deal is the latest environmental initiative from the British government. It aims to encourage domestic and business energy users to reduce their energy consumption by installing energy efficient measures such insulation, facilities management heat pumps, condensing boilers to name a few. Although the Green Deal is being launched in October 2012, the Government has confirmed that many businesses will be unable to take advantage of the Green Deal loan scheme. A spokeswoman for the Department of Energy and Climate Change (DECC) has said that “the Green Deal for businesses would be delayed because the requirements for commercial properties would be more complex than for domestic buildings”. DECC has not yet set a date for the launch of the business element of Green Deal, however the spokeswoman suggested “it would happen shortly after the domestic loan scheme”. Under the Green Deal, bill payers (tenants and owner occupiers) will be able to install energy efficiency improvements without having to front up the cash. Instead, businesses will provide the capital, getting their money back via the energy bill. At the heart of the offer is a simple rule: estimated savings on bills will always equal or exceed the cost of the work. Will it become a regulatory requirement? The Government paper “The Green Deal” (section 2.1.3) suggests that “It is important that the sector has the opportunity to make voluntary improvements first, and that regulation is only deployed if necessary to improve the energy efficiency…”. It goes on to suggest that secondary legislation would be required to force owners and landlords to make energy improvements and the earliest date regulations could come into force is April 2015. The paper then goes onto say that the Government are proposing powers to require landlords to bring their property up to a defined threshold before it can be rented out again. They caveat this by saying “subject to there being no up-front financial cost to landlords”. The Governments view seems to be that commercial rented properties change hands relatively frequently, and so this condition would catch most properties. Landlords with the worst performing commercial properties would have to complete a Green Deal assessment and then implement a sufficient number of the cost-effective improvements identified to bring the energy performance of the property up to the threshold. If insufficient cost effective improvements were found, the landlord would still have to implement all of them but would not be required to meet the minimum standard.! How will it all work in practice? Property assessments: One of the prerequisites for a Green Deal plan will be for the consumer to have a property assessment by an accredited adviser. The adviser would visit to assess the energy performance of the property and advise on the relevant opportunities for energy efficiency improvements. Yes, this all sounds a bit like the current EPC (Energy Performance Certificate) and it appears likely that the Government will use an improved version of the EPC for the purposes of Green Deal assessments. Make recommendations: Assessors will make recommendations drawn from a list of energy improvement measures which have been approved for the Green Deal. These measures will include a corresponding list of products, materials and specification standards in the form of a Code of Practice. It seems this Code of Practice will be essential to ensure there is no conflict of interest between assessors and Green Deal Providers. Despite this, I can’t help thinking this is a potential area for unfair or misleading selling practices, but we will have to see!. Green Deal Providers quote for the work: the Green Deal Provider would consider the package of measures and make an offer which stipulates the total cost, the charge to be attached to the energy meter, and the length of the repayment period. Arrange financing: Consumers will be free to finance work as they wish, and some people may opt to pay for the work upfront, in whole or in part. But what the Government hopes will make the Green Deal attractive is the opportunity to repay through energy bills, spreading the cost and enabling the obligation to repay to be passed on to future occupiers. I could also write a long blog on this subject alone and still not cover it properly. But I will close this section by saying the Government appears to want to encourage a wide range of financial institutions and High Street names into offering Green Deal finance. 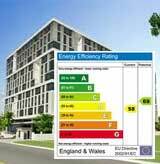 Install the energy improvement measures: Certification of installers will be an essential element of this, as work will be undertaken by a range of trades people. The proposed standards and certification framework is intended to ensure that all work is completed to a recognised standard and that consumers can expect the same level of customer care and protection regardless of the installer. The Government appears to be suggesting the energy improvement providers will need to qualify and carry a quality logo similar to existing marks such as Gas Safe and Trustmark. Repayments: When the Green Deal installer has completed the work, they will inform the Green Deal provider (if it is a separate organisation) who will arrange for details about the Green Deal to be included in an updated EPC or other appropriate document and lodged on the EPC or equivalent database. 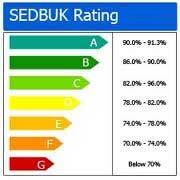 The Green Deal provider would also pass the relevant details to the customer’s energy supplier. Following verification by the energy supplier, which would give the customer the right to query any details, the Green Deal charge would appear on the next energy bill received by the customer.